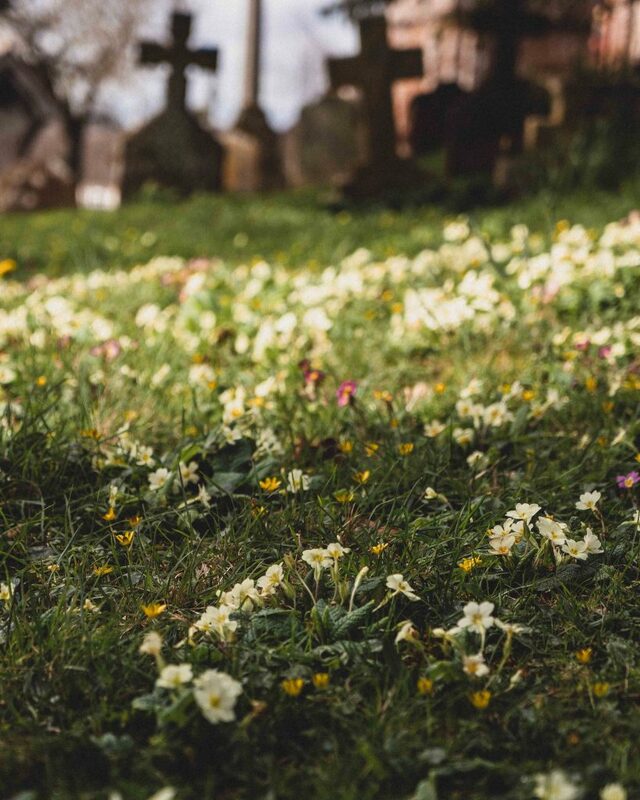 Primula Vulgaris, commonly known as the primrose is a tough little perennial, with dainty pale yellow petals, that has become synonymous with the County of Devon. There’s probably nowhere else in Britain where this little plant will grow so prolifically quite literally anywhere in either the sun or shade. Primula Vulgaris as it’s known today is so named due to being one of the first Spring flowers to burst forth after the dreary winter draws to a close. Primula is a diminutive of the Latin word primus meaning first and Vulgaris in this sense means common as in grows everywhere. 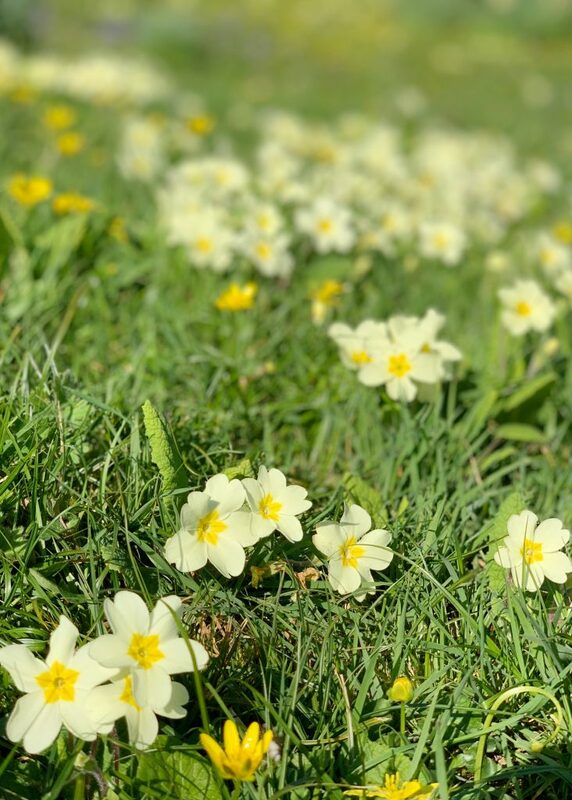 The vernacular term, Primrose, is also derived from Latin prima rosa and literally means first rose of the year despite having no link to the Rosaceae (rose) family. 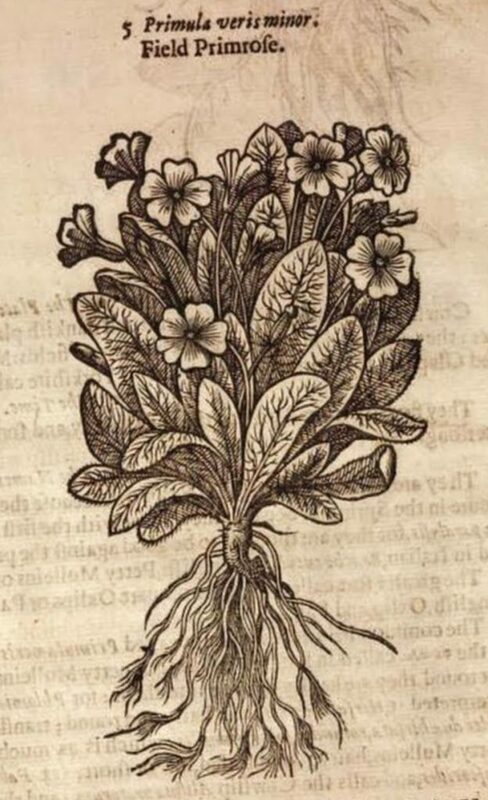 In John Gerard’s (c.1545-1612) illustrated Herball or General Historie of Plantes that was first published in 1597 the primrose was classified as a Primula Veris Minor or Field Primrose. 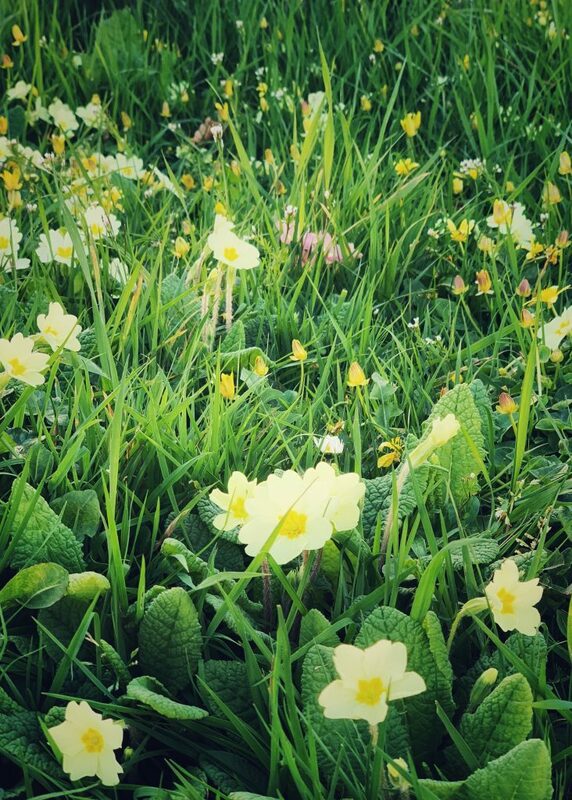 “5 – The fifth being the common whitish yellow field Primrose, needeth no description”. It’s interesting that he named it primula veris minor and classified it as a small or lesser cowslip (primula veris). 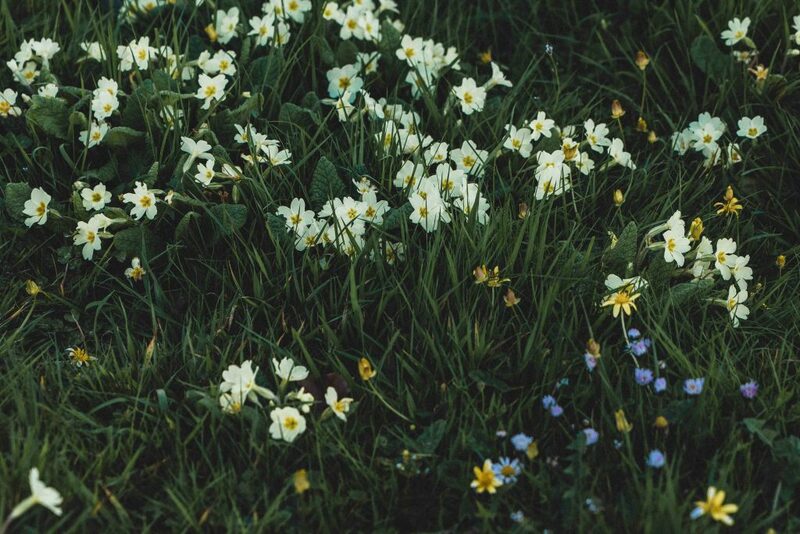 Veris means true in Latin and so perhaps, since both plants are native, closely related and grow in similar conditions, but the primrose is smaller, it sort of makes sense. When not in flower the rosettes are remarkably similar, both have remarkably wrinkled leaved but those of the cowslip are shorter and flatter. 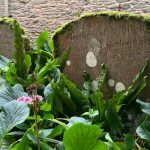 The term Primula Vulgaris as used today was first coined by William Hudson (1730-1793) in the book Flora Anglica Published in 1762. The small native perennial is often evergreen throughout the winter except in extremely exposed cold locations where the wrinkled leaves will die back until early spring. 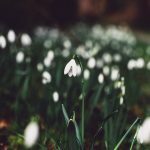 It grows anywhere from 4-12 inches tall and flowers between February – May but that is variable depending on region and weather conditions. Delicately perfumed flowers grow on short individual slender stems and are normally a delicate pale yellow, but can range from almost white to a pale pink. In the wild the plant reproduces mainly through seed but also by clump forming rosettes. 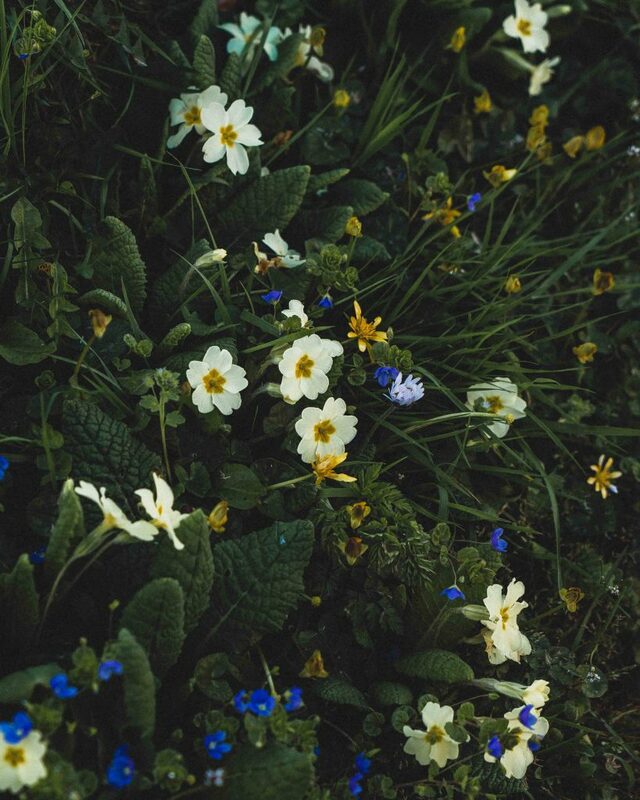 The primrose thrives in moist damp clay soils where the top soil never fully dries out during the flowering process. 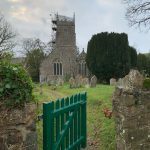 With its temperate but somewhat damper climate than the South-East and warmer than more northern counties Devon is the perfect location for the plant to thrive – and thrive it certainly does. 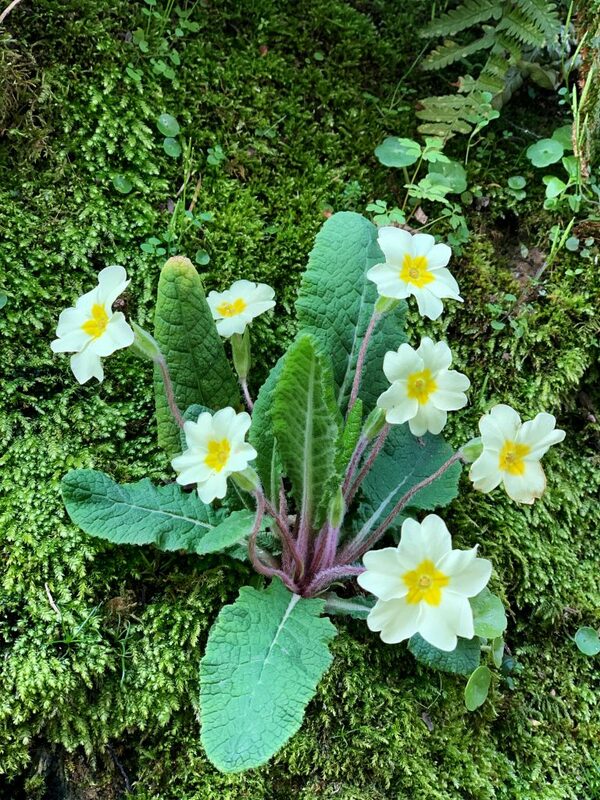 In other counties the little primrose is happiest in more shaded areas of deciduous woodland, but, in Devon the plant is not shy and is unashamedly out in the open. 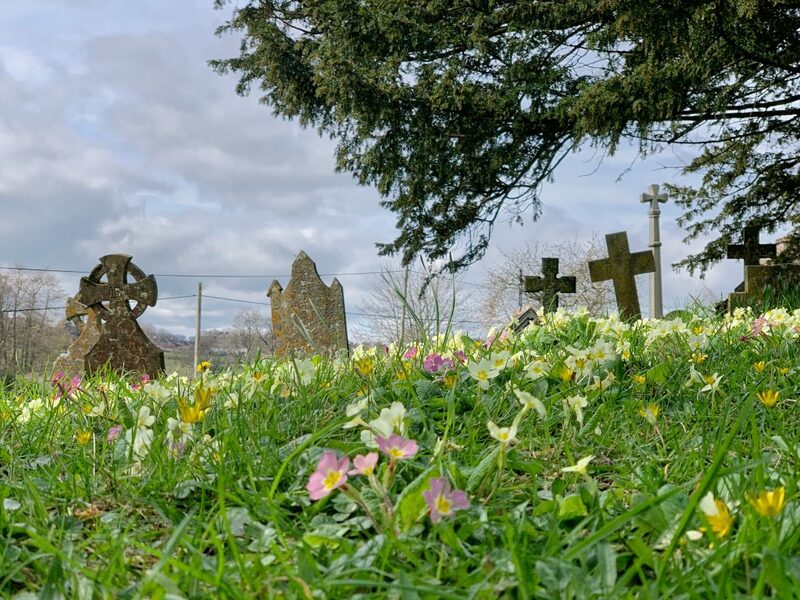 It can be seen all along the famous Devon banks, along the hedgerows and is prolific in both graveyards and gardens. Some large banks and meadows, with no shade to speak of, literally turn a glorious yellow, sometimes with the odd hint of pink, for a number of weeks during the Spring period. 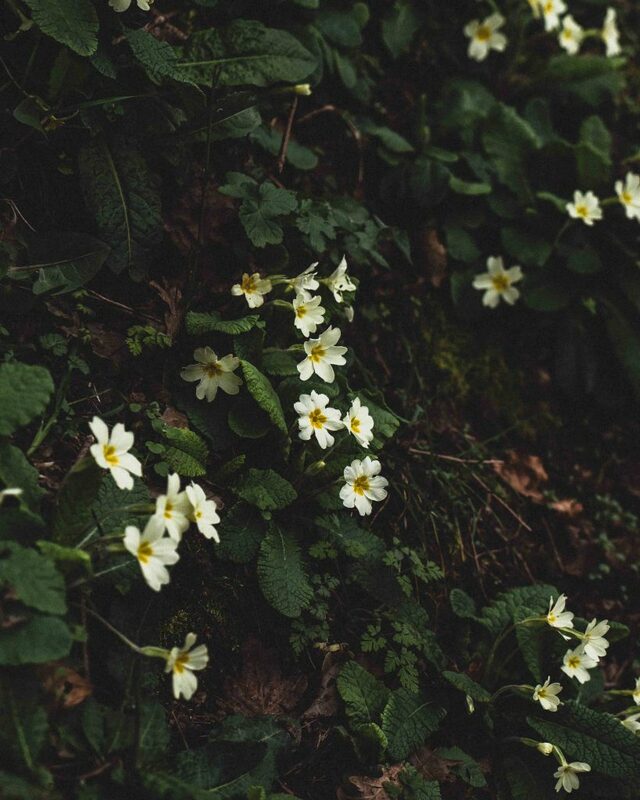 Yes, there’s absolutely no doubt that the dainty Primrose is The Flower of Devon. In fact, it was voted the county flower in 2002 after a poll conducted by Plantlife, a British conservation charity. Both the leaves and flowers are edible and make marvellous crystallised decorations for cakes especially over Mothering Sunday or Easter. 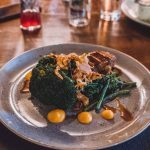 They can also be added to salads to give that dash of something a little out of the ordinary. An earlier in the year version of the Nasturtium flower but without the peppery heat. 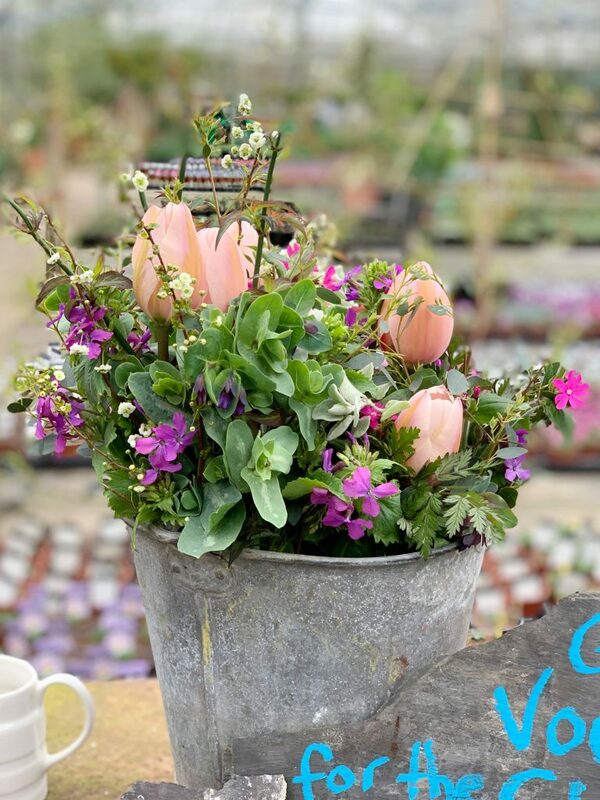 Throughout the centuries flowers have long held a place in communication through the language of flowers.This reached its zenith, during the 19th century, as people were able to express their feelings in a way that was not possible within polite society. The Primrose was a flower for lovers and sent a message that said, ‘I can’t live without you’. 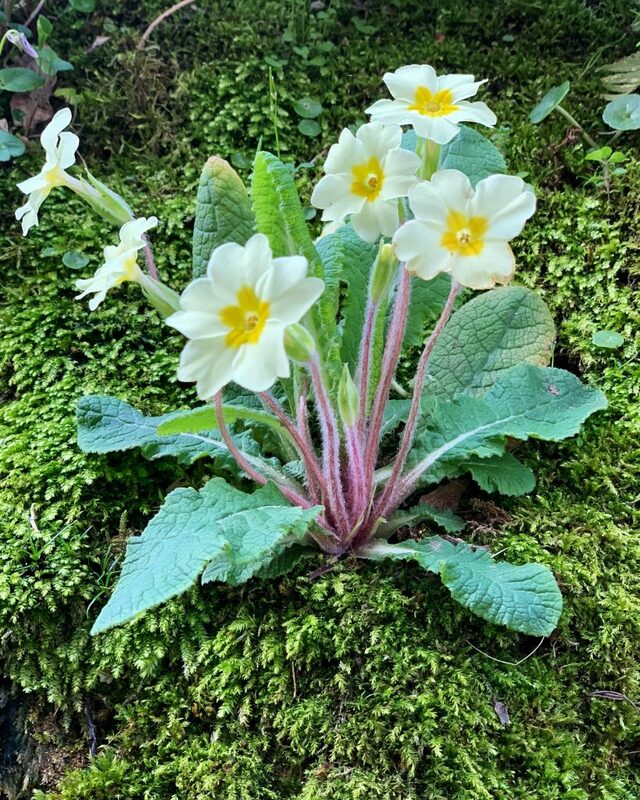 Yes – believe it or not this diminutive little plant has even got a day just to itself on the 19th April which is known as Primrose Day. 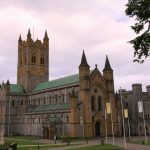 In reality, Primrose Day is a Memorial Day for the Statesman Benjamin Disraeli (1804-1881) who was Prime Minister in 1868 and again from 1874-80 and died on 19th April 1881. He was a firm favourite of Queen Victoria’s (flattery obviously works! ), both were highly patriotic and imperialistic, and she was instrumental in creating Primrose Day in his honour. It’s said that Queen Victoria sent a wreath of yellow primroses with a note referring to them being ‘his favourite flowers’. There has been some confusion as to whether the Queen was referring to Disraeli or in fact her late husband, Albert. Nevertheless, for many years afterwards wreaths were placed on Disraeli’s monuments and people wore primrose buttonholes on this day. 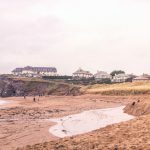 5 Beaches in South Devon You’ll Want to Visit!